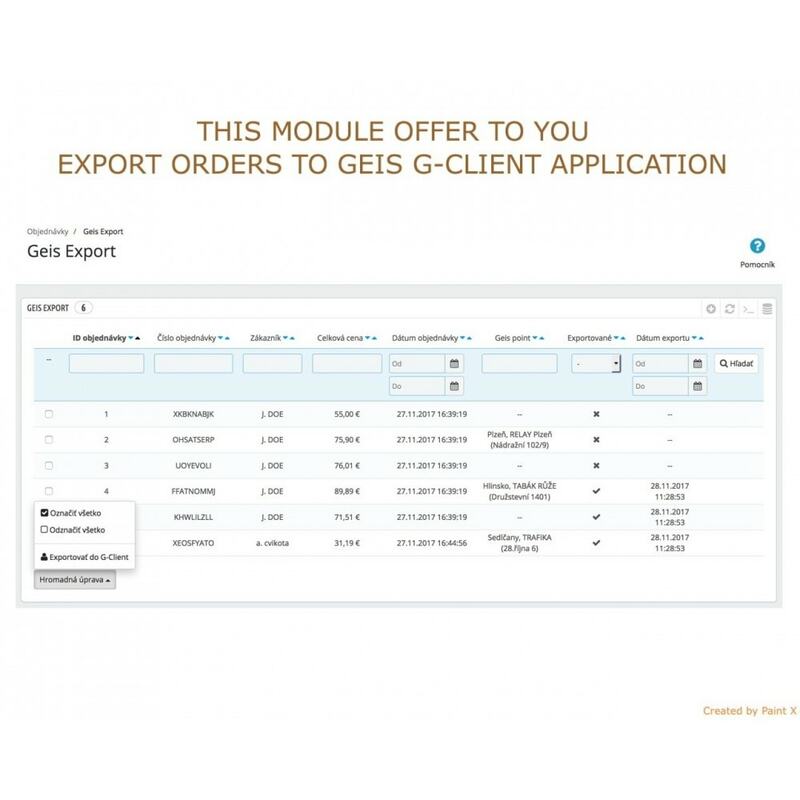 With this module, you can export your selected orders to Geis G-Client application in Slovakia and Czech Republic. Even you can offer to your customers to choose Geis Point as deliver place from google map for their orders. Do you need to connect your store with Geis services? To make it work easier with Geis for you and your customers, this module is the perfect tool in order to access everything Geis offer. If you don't want to write manually each new order to your G-Client application, this module allows you to export all selected orders from your store to CSV file. Then you just import this file to your G-Client application and all orders data will be transferred there. You will save a lot of time and you won't make any mistakes with this module. 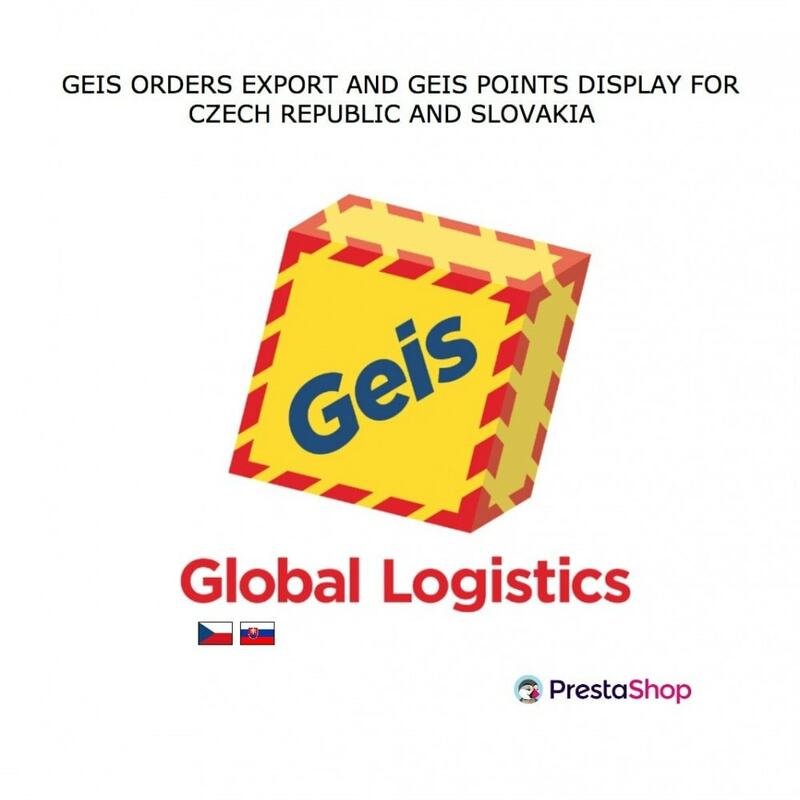 You can also offer your customers to choose from all Geis Points in Slovakia, Czech Republic or both together as delivery place in the checkout process. 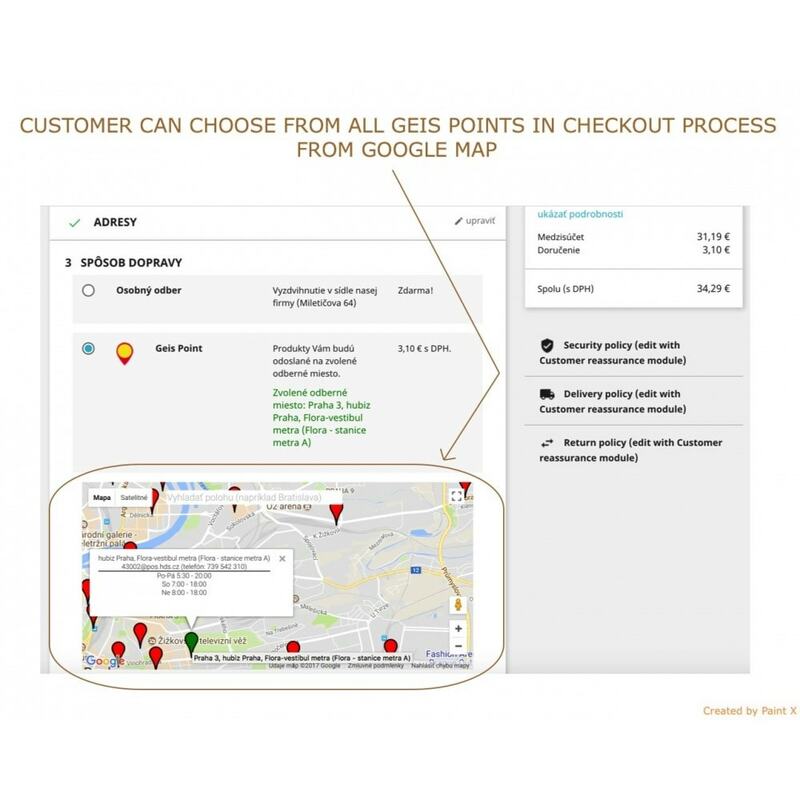 In the configuration of this module, you can select if your customer can choose his Geis Point delivery place from Google Map or from a dropdown menu. 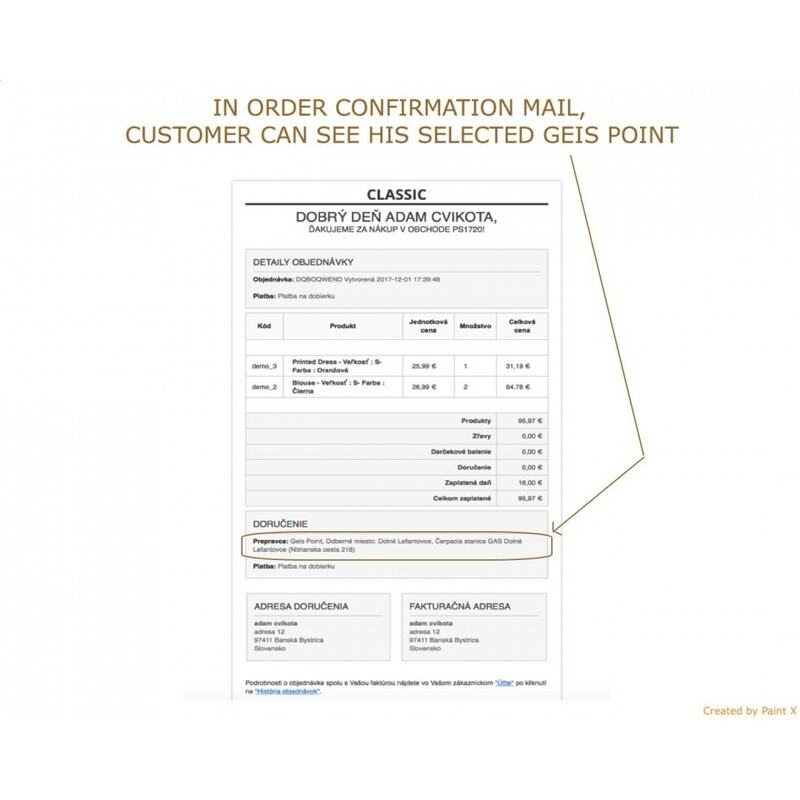 In the order confirmation mail, your customer will see his selected Geis Point. You can even change the Geis Point for already placed order in your order detail in Back-Office. 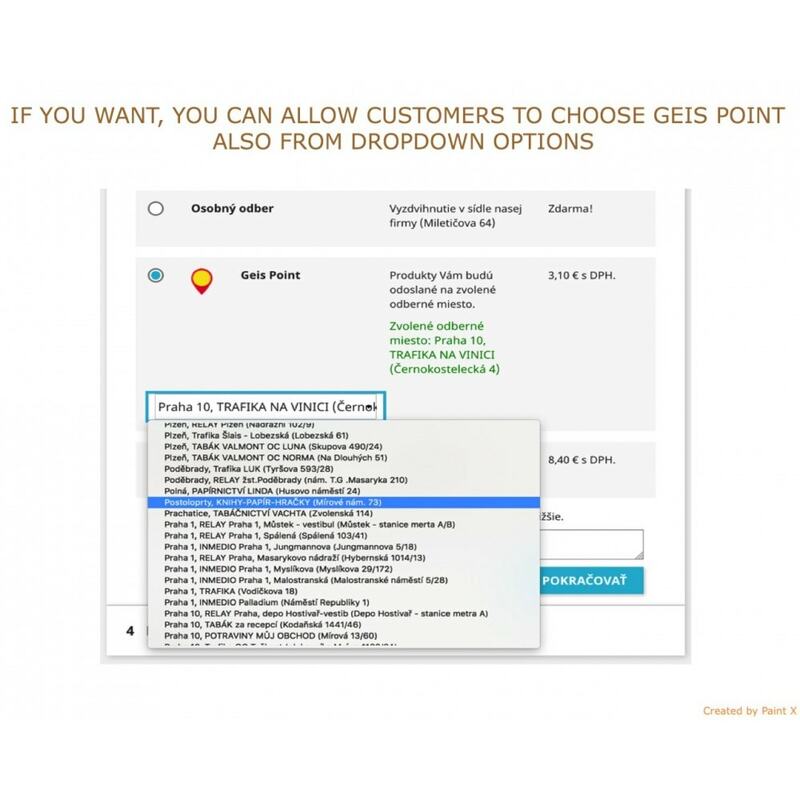 Of course, Geis Point ID will be part of your exported orders data to your G-Client application. 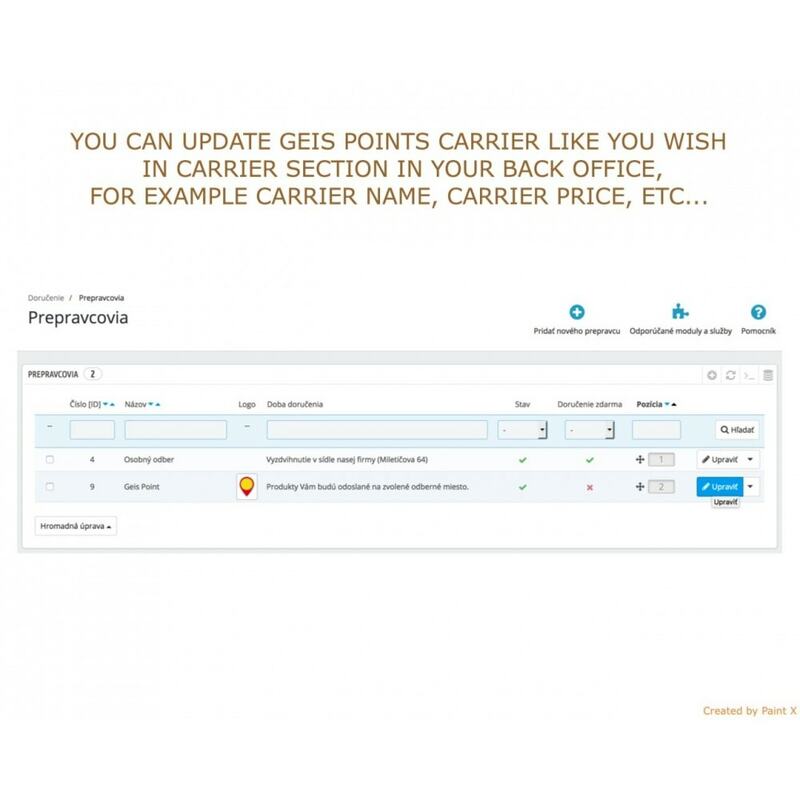 After your customer place an order with specific Geis Point, you can change this Geis Point in order detail in your back office. After installation of this module, system will automatically add new item to your back office menu called “Geis export”. After you click on this item, you will see table with all orders and you can export all selected orders to your G-Client application. You will see all already exported orders with date of export in this table.